It is always great to see developers do innovative things with iOS devices for games. Pacific Helm makes you replace your box of checkers with an iPad and now Kater Calling wants you to replace your deck of cards with an iOS app. Bold Poker isn’t your basic poker app on the App Store. It is a brilliant new take on Texas hold ’em involving multiple iOS devices over wifi. Don’t expect online multiplayer and such here. 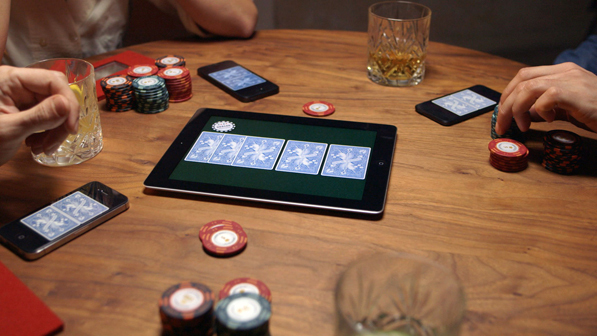 Bold poker just replaces your deck of cards with iOS devices. The visuals of the cards are absolutely stunning and they look beyond beautiful on the Retina iPad. There are even subtle card flipping and sliding sounds to add to the overall feel of the virtual card deck. 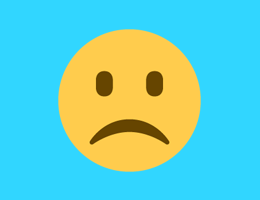 There are multiple combinations of ways you can use your iOS devices but the ideal one is using one iPad for the board and button along with each player using an iPhone or iPod touch for their pocket cards. The local multiplayer works over wifi only and is very simple to set up. One iOS device is used to host a game while up to 12 others can join in. The details over here are pretty awesome with everything from your iPhone flipping cards over as you peak at an angle to pixel perfect card details on every device. You move the on screen chip around the table or device and tap on it to deal. An iPad can only host a game while an iPhone or iPod touch can be used as a pocket card, 2 pocket cards, dealer button, or board and a button mode in the game. The game website has a nice video demo. Bold Poker is an innovative way of enjoying Texas hold ’em poker on your iOS devices. It is the opposite of your typical online multiplayer card game. It does one thing and it does it brilliantly. I can’t think of a better way to play Texas hold ’em after Bold Poker. It even flips the cards over when you tilt your device to view them if you’re using a mirror or a reflective surface below your iOS device. With its support for up to 12 players at one time and great visuals, Bold Poker is definitely worth checking out if you enjoy playing Texas hold ’em. It is available on the App Store as a universal game for $3.99.